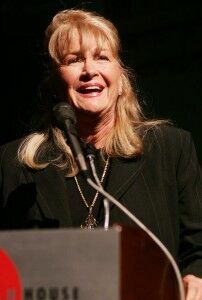 Founded in 2001, the High Falls Film Festival is one of the few film festivals worldwide that celebrates the work of women filmmakers, and is one of the longest running women’s film festivals on the East Coast. The High Falls Film Festival celebrates the artistry and innovation of women in film — behind the camera, in leading roles on the screen, and at the heart of storylines. 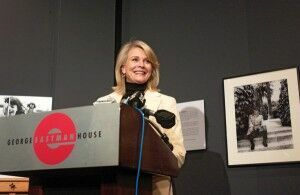 The focus on women in film is inspired by Rochester, New York’s legacy as the birthplace of film (George Eastman and Kodak) and the women’s rights movement (Susan B. Anthony). The offerings include an international slate of independent films enhanced by panels, workshops, and talks with filmmakers. A non-profit organization, the High Falls Film Festival has screened more than 500 films since its inception, spotlighting the cinematic works of women and bringing the finest independent motion pictures and film artists to Rochester and Western New York audiences. The Festival includes features, documentaries, shorts, children’s and young adult programs. Films from past Festivals have gone on to win Academy Awards®, Golden Globe Awards® and recognition at other festivals, from Sundance to Berlin. The High Falls Films Festival presents more than 50 features, documentaries, and shorts, including a children’s program and student-filmmaker program, in addition to panel discussions, opening and closing night parties, and informal “Coffee With” events featuring visiting filmmakers and artists. 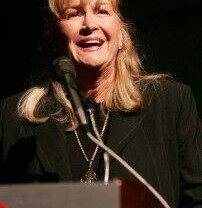 The festival is a lively mix of emerging and established talent, with past guests including actresses Kerry Washington, Lynn Redgrave, Rita Moreno, Philip Seymour Hoffman, Christine Lahti, Bill Pullman, Angela Bassett, Robert Forster, Mira Nair, Jane Alexander, Candice Bergen, Joan Allen, Gordy Hoffman, Famke Janssen, Faith Hubley, Stuart Craig, Diane Ladd, John Curran, CCH Pounder, Leslie Stahl, Celeste Holm, Lainie Kazan, Sally Kellerman, voice-over actress Nancy “Bart Simpson” Cartwright, producer Lauren Shuler Donner, Richard Donner, Agnieszka Holland, and Shrek director Vicky Jenson and editor Thelma Schoonmaker.